This 90 minute session is all about sound, resonance and its effects on the human body & energy systems. The vibrations of the Gongs, Singing/Rin Bowls, and Bells can help balance and cleanse the energy in your body. They work at a cellular level and can help with stress, fatigue, depression, anger, and blocked energy. The vibrations can release blockages at the Chakras and other energy points. People are encouraged to bring a Yoga mat and/or blanket on which they can sit or lie, while allowing the healing vibrations to wash over them. Percussionist Michael Bettine has been working with these instruments for over 40 years. He has written various books on percussion and released over 40 recordings under his name. 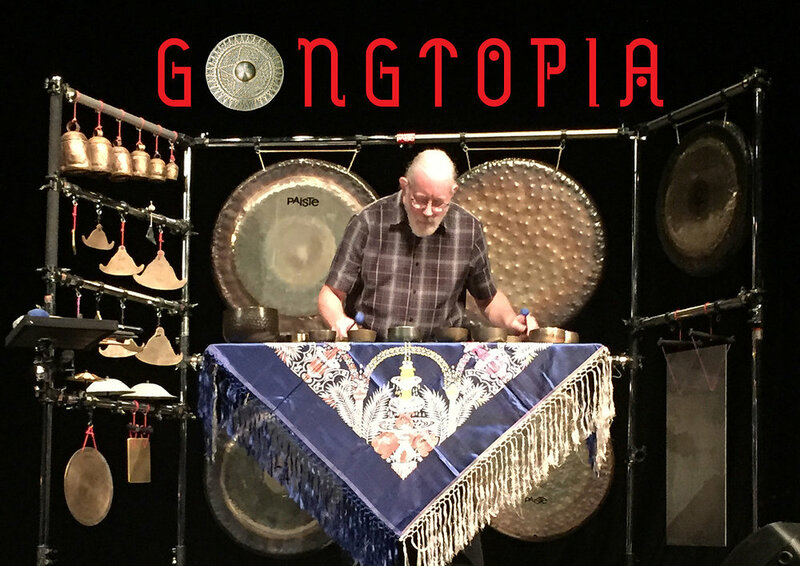 His long running blogs, The Way of the Gong, Art As A Spiritual Practice, and Percussion Deconstruction, have been embraced by both the meditation/sound therapy, and percussion communities. He has presented workshops on Gongs at the prestigious Percussive Arts Society International Convention (PASIC) in 2005 & 2012; and was the Artist in Residence at the 2016 MONA FOMA Festival in Hobart, Australia.